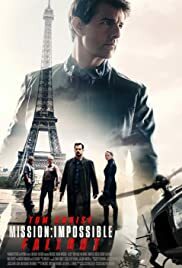 Mission Impossible: Fallout stands not only as the best movie out of the franchise, but as one of the best action movies of that last decade, if not all-time. It's a high-octane movie filled with insane stunt sequences by Tom Cruise and a driving narrative momentum. The cast shines across the board and Christopher McQuarrie deserves high marks for the direction and script (the latter has some small flaws). Overall, one of the movies of the year.